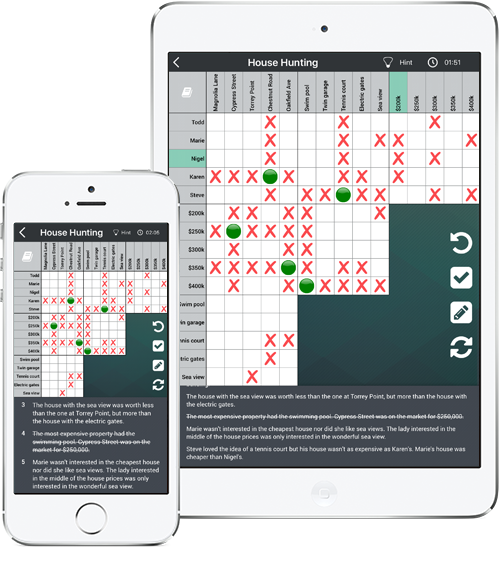 This is the app that logic puzzle fans the world over have been waiting for. Never played a logic puzzle before? Don’t worry – the app features advanced game play with the Professor guiding you through the early stages as you learn the ropes. But watch out, once you know what you’re doing he takes you on head to head in each puzzle. Can you beat his time? Be warned – he has a sharp tongue if you fail to live up to his standards! 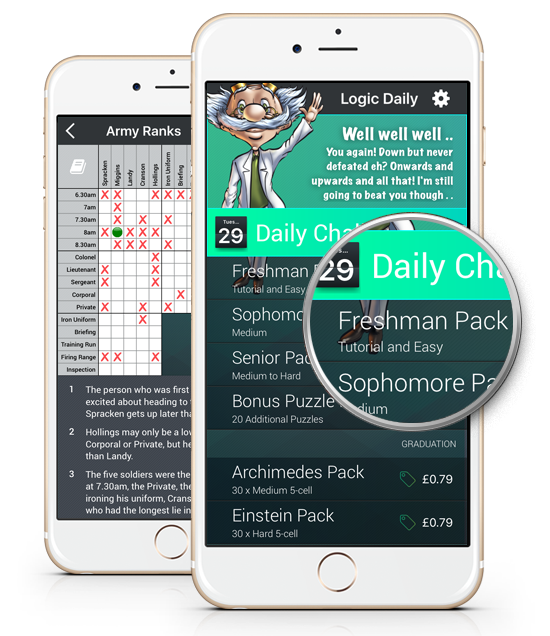 Solve puzzle after puzzle as you work your way through the Professor’s Logic University – can you graduate or will the Professor flunk you? We even have a Daily Challenge feature that ensures a regular supply of free puzzles – come back regularly to gain extra points! Our app uses iCloud synch to automatically upate your progress across all your devices. Reached level 14 of the Senior Pack on your iPad but have to catch the train to work? Don’t panic – just carry on where you left off with your iPhone! 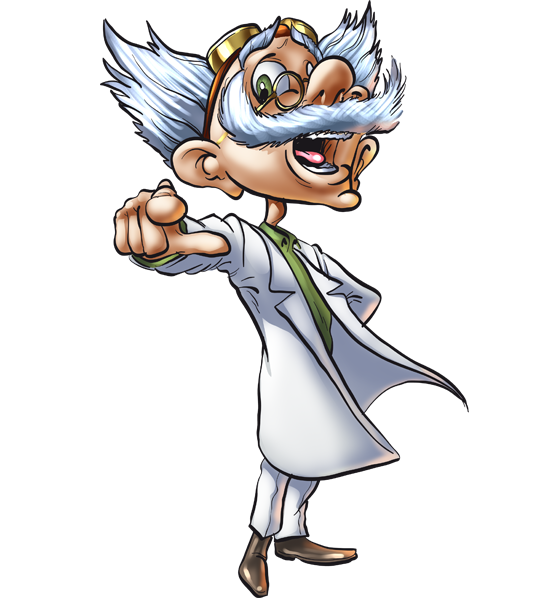 Our resident genius has a sharp tongue and will torment you every step of the way – UNLESS you can beat him and shut him up. Progress through the Professor’s Logic University and compare your time with his on each puzzle to see whether he or you has the last laugh.